Lovely 15 drawer haberdashery shop cabinet which has the rare benefit of only being 40cm deep, most are 50-60cm. 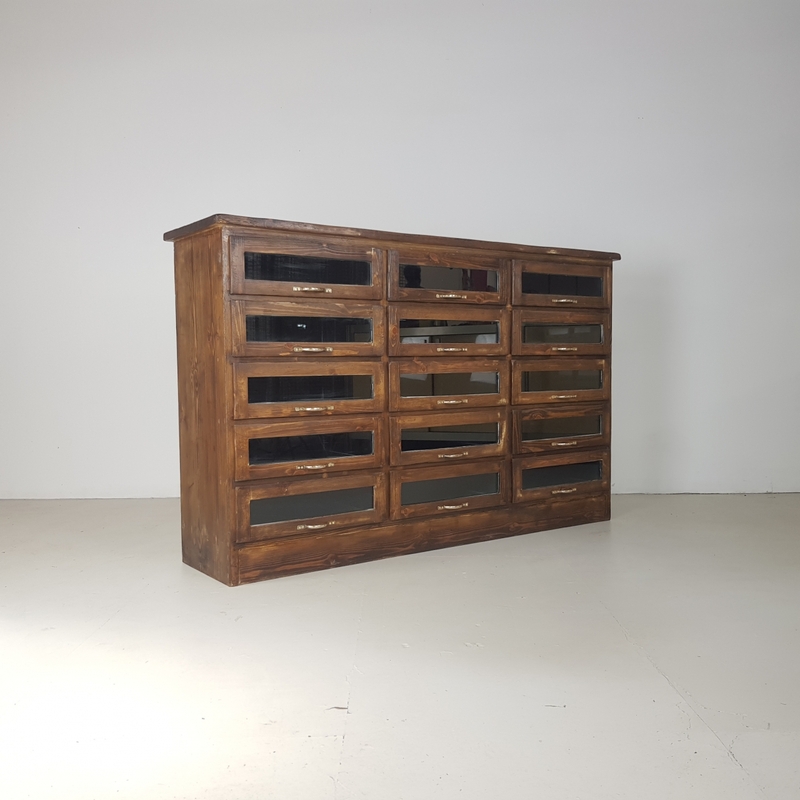 It has 15 glass fronted drawers, all with original metal D handles. Overall, in very good condition. We are unsure of the age of this - it may be 80s/90s. It is very solid and well made. A gorgeous piece of haberdashery furniture.